With our years of experience in this domain, we are bringing forward an elegant assortment of Copper Pendant Set. Established in 2007, Glossy Arts is a trustworthy enterprise, at Mumbai (Maharashtra, India). 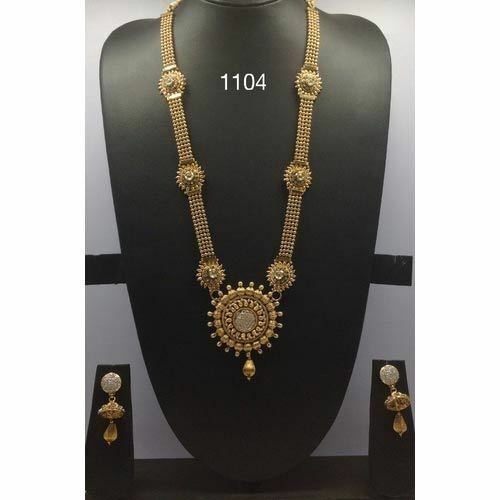 The organization is among the prominent Manufacturer and Trader of premium quality Ladies Earrings, Finger Rings, Maang Tikka, Glass and Plastic Beads, Pendant Set, Passa Set, Panja Set, Necklace Sets, Bridal sets, Copper Jewellery and many more. Our company has strived towards the excellence, owing to our quality Jewelry Items that are authenticated for a great fashion appeal and long term value. Moreover to this, clients purchase the offered products from us in varied specifications in terms of sizes, shapes, designs, patterns and colors at nominal prices.